It is no secret that I love a good planner. To-do lists, scheduling, and having everything together in one place is oh so satisfying to me. My friends will tell you that they didn't know it was possible for one person to have so many planners. I am guilty of wanting to try them all and think I am well on my way to be classified as a planner expert. This month I've been trying out a new one that I am excited to share with y'all from Lauren James. Meet the Timeless Planner. You may remember this brand from this post and this one and if you remember how much I loved those tops you can imagine my excitement when I discovered that the brand came out with their own line of paper goods. 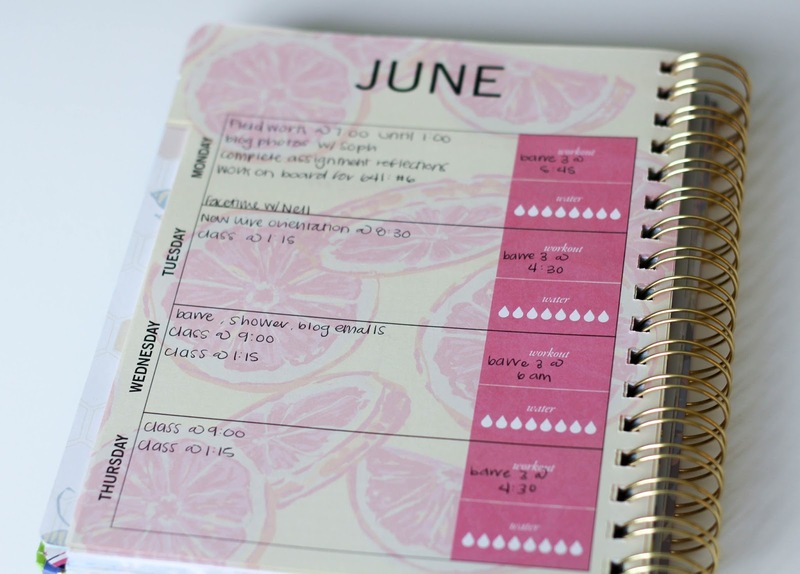 While the spiraling and size may look familiar to some other planners on the market there were a number of features that this planner had to offer that I had not seen before in my other ones. Before I get into those details I do want to specify a couple of things. This is a planner that I will more than likely use for blogging and social media brainstorming however, for the sake of this post I went ahead and filled out what this week looked like for me since I wanted to show y'all how it could be arranged for academic purposes although I left the month section arranged for blog post topics. The Meal Planner - Now that I am cooking myself every meal (talk about an adjustment) I am loving the meal planner aspect of this planner. Unfortunately I forgot to photograph it but it takes up about half of a page and allows you space to write down what you plan to have for breakfast, lunch, dinner, and even a snack each day. Filling this out at the beginning of the week before or after grocery shopping encourages adding a bit of variety to your meals and makes meal prepping easy! The Water Tracker - This was a feature that I didn't expect to love as much as I do. With eight water drops drawn on each day that you can check off or color in you will definitely feel encouraged to get your full 8 cups. The Monthly Goals Section - I love setting goals. It kind of goes hand in hand with making to do lists I think. 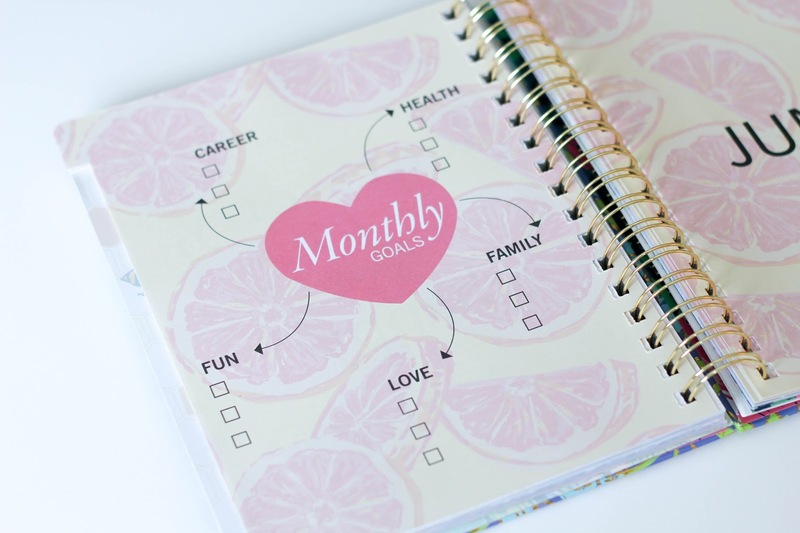 Having a section each month to set any goals you may have is really encouraging and helps to keep them at the forefront of your plans (quite literally). The Workout Section - While this is a small area to write down your workout for the day I feel like it is really useful. I feel kind of guilty when I don't have a workout written down for a couple of days so putting it in my planner holds me accountable. If you have super detailed workouts it is unlikely that you'll be able to fit all that you want to do in that box but it is perfect for me to write the time of my barre class in! 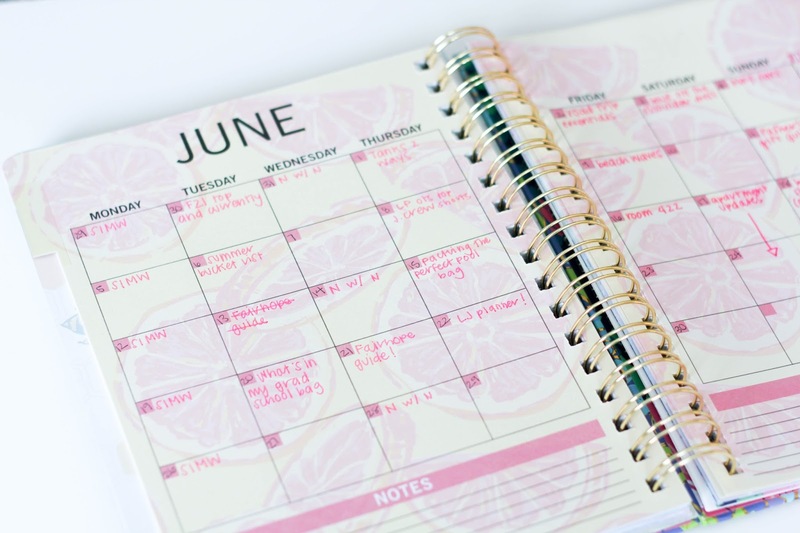 That The Planner Lasts A Full Year No Matter When You Start It - This is really handy. Sometimes it can be such a bummer to get so excited about a planner and then have to wait to start using it. June was my first full month to test it out which isn't a month that planners typically start so this feature was extra helpful for me. Not Having The Dates Written On The Monthly & Weekly Sections - This was a little strange to me at first but completely makes sense given the Timeless features of the planner. On the monthly calendar I had to refer to my phone so I could write the dates into each box. I didn't write the dates on the weekly section since I figured I could refer to the monthly overview. This will take some getting used to but doesn't take long to add in yourself. Not Having A Time Slots On Each Day - A number of the other planners I have include time slots from 5:00 to 9:00 each day so this planner having a blank box was almost intimidating at first. I found myself still writing down what I needed to do chronologically in the box and even included times. I think this would be better used as a daily to do list with one or two major things you may have going on written down. 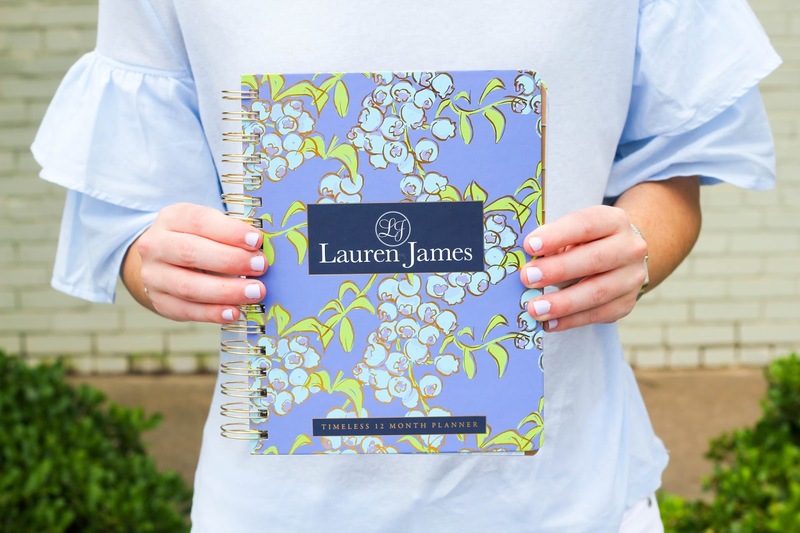 All in all I really like Lauren James' Timeless Planner. 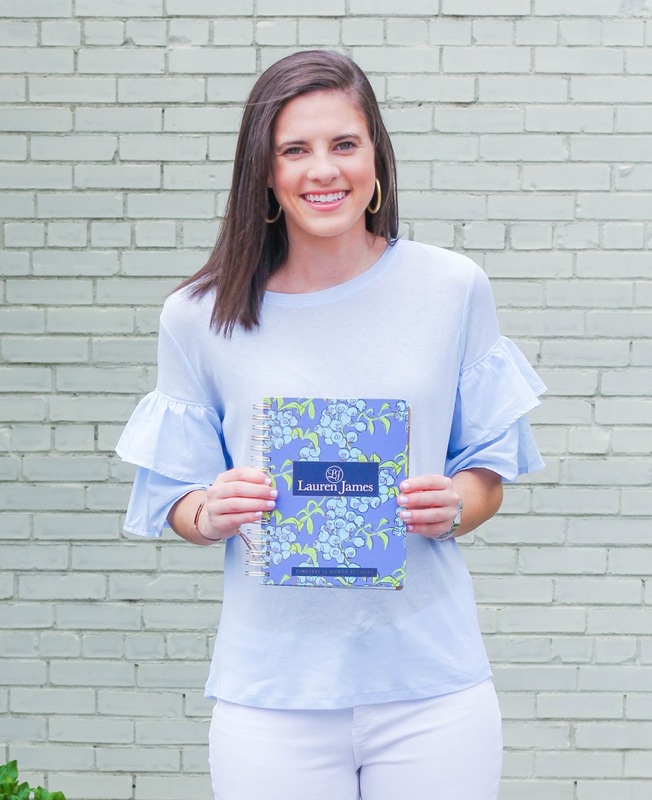 There are three different covers to choose from and the customizable aspects of this planner allow you to personalize it for your own planning needs which is really cool. I'd love to hear what you think and hope your Thursday is off to a great start. 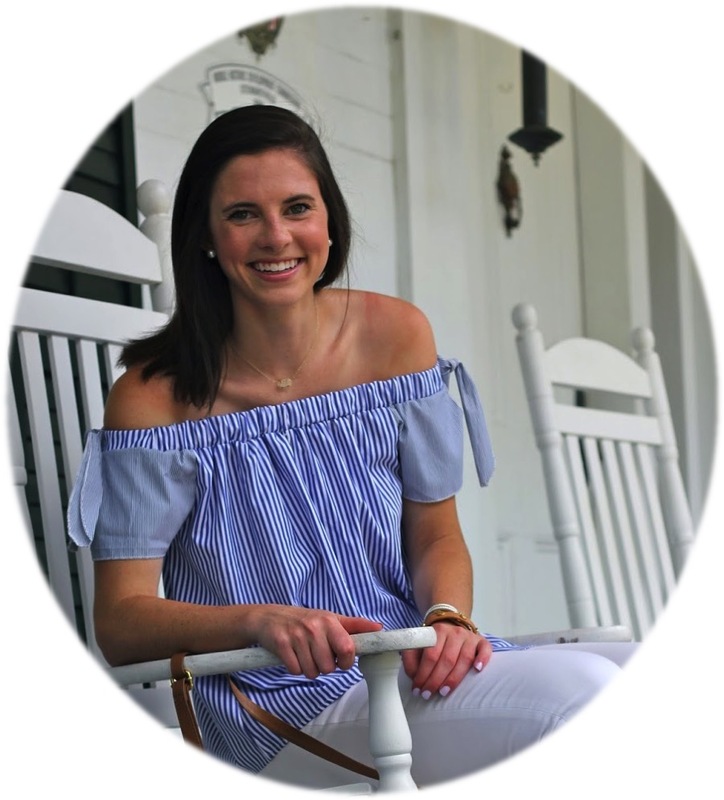 This post was created in partnership with Lauren James. All opinions are my own. Thank you for supporting the brands that make Prep In Your Step possible. The planner really matches your outfit, cute photo! Love that it has a physical meal planner too. It's such a good idea and all planners should have a section for that! I really like the idea of it being a timeless planner, sometimes I feel like I don't always utilize my planner because some months are lighter than others, so this would be great to pick up when I need it again! I thought this was interesting. I also am obsessed with my planners and especially how other people use their planners! I love how you thought that it would be a great blogging planner and the honesty of this post! I'll definitely be checking it out! 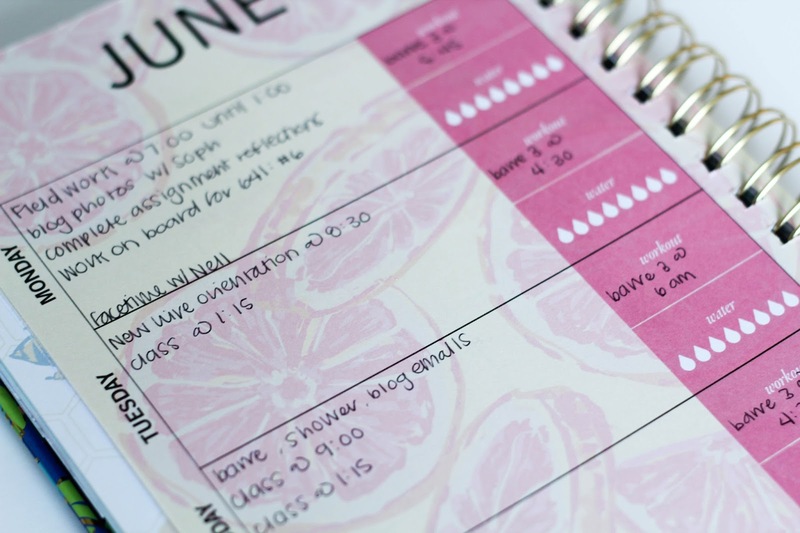 I love the little water droplets and the cute monthly goals page! I need a page like that to remind myself of what is important.